What makes a storage facility more secure than your own home? If you need to store clutter and you’re on a budget, it’s natural to consider keeping those items in your garage, attic, basement or shed instead of a storage unit. And while you can certainly get away with storing some items at home, when it comes to the stuff you really care about, it’s impossible to match the level of security that a storage facility offers. In addition to offering climate controlled storage (trust us, you won’t find that in the shed in your backyard), a storage unit also ensures that your items are as safe as possible. So what exactly does great security look like at a storage facility? Here’s a taste of what you can expect at All Storage. All Storage offers 24-hour surveillance cameras that are always watching over the property. 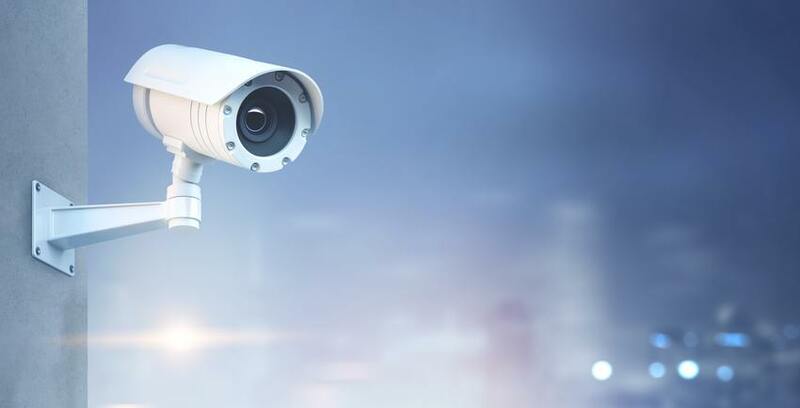 Many businesses—including some storage facilities—will set up cameras that don’t actually work in order to give the appearance of surveillance. All Storage has the real deal. These cameras deter thieves. In the rare event that a break-in occurs, you can rest assured that there will be footage available to investigate the crime. Those gates aren’t just there to make you feel like you’re a VIP entering an exclusive club (though we do promise that’s how we think of you). Access gates at All Storage are there to ensure that only tenants can enter the premises. Our properties feature timed access gates so that the only people at the storage facility are the ones who are supposed to be there. All Storage pioneered EZ Drive Thru storage. This allows you to drive your car into the covered storage facility and park right outside of your storage unit. Yes, it’s crazy convenient—and a real lifesaver if you need to stop by your storage unit during a rainstorm—but it’s also an added layer of safety. The average storage facility works on having high walls so that would-be burglars can’t scale them. All Storage goes a step further by putting the entire storage facility inside a building. Here’s one type of self storage security you might not consider (but we sure did): fire. Keeping your items safe in self storage means keeping them safe from everything that could cause damage. This includes theft, but it also includes other detrimental forces, such as fire. All Storage does not permit customers to store flammable or explosive items, and tenants also aren’t allowed to cook or smoke inside their storage units. But on the off chance that the person renting the storage unit next to yours is a total rulebreaker, you can rest assured that every All Storage location has fire sprinklers including alarm panels to keep your stuff from literally going up in smoke. There’s a reason people use phrases like “things that go bump in the night” and “under the cover of darkness.” For some reason, the world can seem a little sketchier after the sun goes down. We’d prefer not to give crime that aforementioned cover of darkness. At All Storage, you’ll find good lighting which will keep your belongings safe and keep your fear of the dark (we won’t tell anyone) at bay. You might be thinking, “What? How is great customer service a security feature?” But hear us out. Part of any All Storage employee’s job is to keep an eye on the facility. That means greeting tenants and walking the grounds on a regular basis. This level of customer service also results in cultivating a group of employees who are aware of what’s going on at the storage facility at all times, so that if anything seems out of order, the appropriate steps can be taken to continue keeping the contents of your storage unit secure. Now that you’re an expert on security features, you’re ready to store with confidence. In addition to relying on these great security features, remember to always lock your storage unit, keep the most valuable items in the back and report any suspicious activity to an employee.